Welcome to Biloxi Bluewater Charters, here on the beautiful, Mississippi Gulf Coast! We are your premier source for blue water, offshore, rig and deep sea fishing. Captain Jerry McClure and Captain Jay “Wrobo” Wroblewski are extreme fishermen. Together, they bring more than eighty years of experience to your offshore adventure. 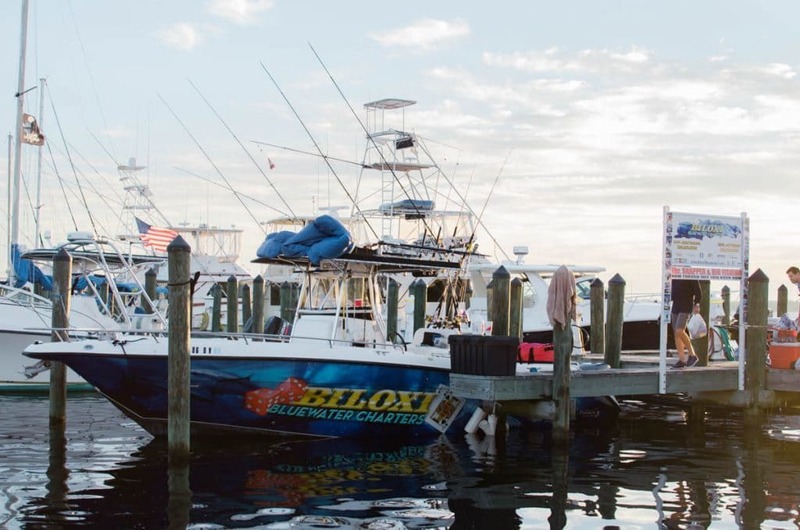 From the Mississippi Gulf Coast to Venice, Louisiana; Biloxi Bluewater Charters has a real-time network, which provides current data used to help you catch big fish. Captains Jerry and Jay are United States Coast Guard certified and use industry leading fishing equipment. They are one hundred percent committed to helping you locate and land big fish and to giving you the top, offshore, fishing trip you could ever imagine! The offshore conditions are optimal, and the tuna are coming closer, as they pursue bait fish. Also, the shrimp boats are active in Fall and attract fish. All this is great news for you; tuna fishing is EPIC now, this Fall! Contact us today to book your offshore, fishing voyage. At Biloxi Bluewater Charters, we offer flexible scheduling on offshore, day trips; and personalized ventures, tailored to what species of fish you desire. We are, indeed, willing to seek fish until we locate them for you, and that sometimes means going over ninety miles beyond the shore. For the ultimate fishing experience, we highly recommend our overnight, tuna trips. During an overnight trip, we usually fish near shrimp boats and other structures for tuna, as we proceed outward. Once in blue water, it becomes even more suspenseful, as you just never know what type of fish may strike! We have your fishing equipment prepared; and, we waste no time in searching for predators, such as wahoo, mahi-mahi, king mackerel, bill fish, etc. Tuna fishing is the best from around sunset, during the night, and early into the next morning. Often, we stop and rig, or bottom fish, in the process of returning to shore. Captains Jerry and Jay work tirelessly to plan an offshore trip, catered to you! Please contact Biloxi Bluewater Charters today, to schedule.